President Mugabe’s move to show his former deputy Cde Emmerson Dambudzo Mnangagwa the exit door is lawful because he was serving in Government at the pleasure of the appointing authority, legal experts said yesterday. Cde Mnangagwa followed the route of his predecessor, Dr Joice Mujuru, who was fired from Government in 2014 on similar accusations of entangling herself in factionalism and disloyalty to the President and Zanu-PF party. Announcing the termination of Cde Mnangagwa’s employment with the Government, Information, Publicity and Broadcasting Services Minister Simon Khaya Moyo said the former VP had become disloyal, disrespectful to the President. 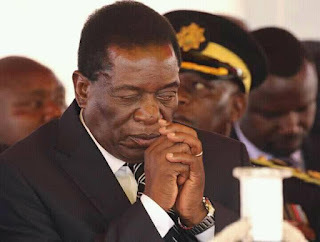 “His Excellency the President, RG Mugabe has exercised his powers to relieve honourable Vice President, ED Mnangagwa, of his position as Vice President of the Republic of Zimbabwe, with immediate effect,” said Minister Khaya Moyo. Legal experts said President Mugabe, who enjoys unfettered powers conferred upon him by the Constitution simply exercised his powers. “Legally, the termination of the employment of then Vice President Mnangagwa is lawful because his appointment was a constitutional appointment,” said Harare lawyer Mr Tendai Toto. “It is in accordance with the Constitution that the President of the Republic exercised his powers to appoint VP Mnangagwa and now he has exercised the same powers and prerogative to disappoint. Mr Toto said the Ministry of Justice that he was stewarding as the Minister of Justice, Legal and Parliamentary Affairs got taken away from him at the last Cabinet reshuffle. He said Cde Mnangagwa was for now a member of Zanu-PF pending congressional developments in the near future. “Politically, a lesson has been learnt that our membership of political parties can also get terminated once the majority of the decision making body therein decide that you are no longer desired as member, you can get an exit kick,” said Mr Toto. Veteran lawyer, Mr Terence Hussein said: “While we thank him for his service to our country, the President is the chief executive of the State and is allowed to hire those he has faith in and dismiss those that he does not. United Kingdom-based law lecturer Dr Alex Magaisa wrote on his Facebook wall that having lost the Vice Presidency, Cde Mnangagwa also lost the right to appear and speak in Parliament. “Under the Constitution, when a person becomes a Vice President he ceases to be an MP,” wrote Dr Magaisa. “That is why (Cde) Mnangagwa gave up his seat in 2014 when he became Vice President. He bequeathed it to his wife, Auxillia, thus keeping it in the family. “Just three weeks ago, he was not only Vice President but Leader of Government Business by virtue of holding the portfolio of Justice and Parliamentary Affairs Minister. Dr Magaisa said it was a heavy fall for Cde Mnangagwa who had been in the corridors of powers for almost four decades. “Now that he is without power, the rest will follow suit,” said Dr Magaisa adding, “His staunchest allies might follow him in solidarity but politicians are not known for their loyalty.